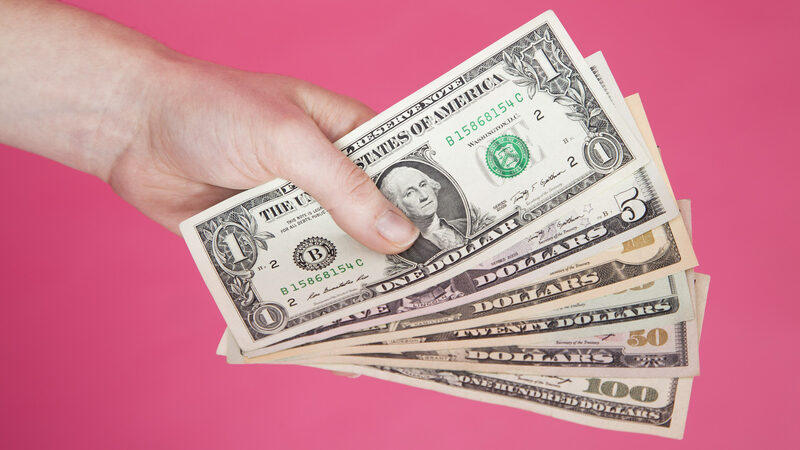 Good news for those who make $105,000 a year: You’ve apparently reached optimum happiness. The study found that, yes, someone who makes, for example, $120,000 is happier than someone who makes $45,000 a year. But a person who makes $200,000 likely isn’t any happier than the $120,000 salary-earner. Why? Because they both make more than $105,000, which the researchers found is the “satiation point.” This means it is the salary at which the household income is not associated with greater happiness. This $105,000 figure only applies to the U.S., though. In Australia and New Zealand, the satiation point is $125,000; and in Latin America and the Caribbean, it’s $35,000. The study even broke it down by gender, suggesting women who made $100,000 hit the satiation point, while men hit it at $90,000. Interesting. The Atlas has a helpful bar graph, which you can view below. This isn’t the first time a study like this has been conducted. In 2010, Nobel prize-winning economist Angus Deaton and psychologist Daniel Kahneman studied how income relates to life satisfaction, finding that the satiation point for U.S. households was approximately $75,000. What’s different about the new study is its data accounts for the number of people in a household, includes more detailed income numbers and includes responses from people in more countries. Now, it isn’t all that surprising that the more money you have, the happier you may be. If you were offered a hefty raise, wouldn’t you happily take it? Of course! But how accurate can a survey that measures one’s income-life satisfaction relationship really be? Just take into account the mood people were in while taking the survey: What if they were having a crappy week and answered all the questions negatively because of it, when, really, they’re pretty content with their lives? And Dan Sacks, an economist at Indiana University, also isn’t totally convinced. 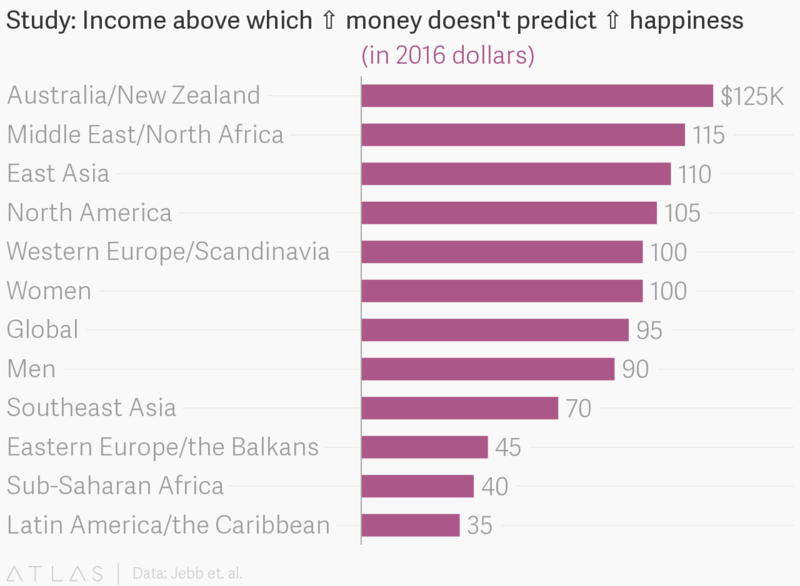 “It could be true that on average, people who say they have income of $150,000 are no happier than people who say they have income of $100,000, but I’m not convinced that people who actually have income of $150,000 are no happier than people who have income of $100,000,” he tells Quartz. Sure, we’re skeptical, but we won’t deny the results are fascinating.